← Where Did August Go? S made this charming wallhanging from the American Jane charm pack. 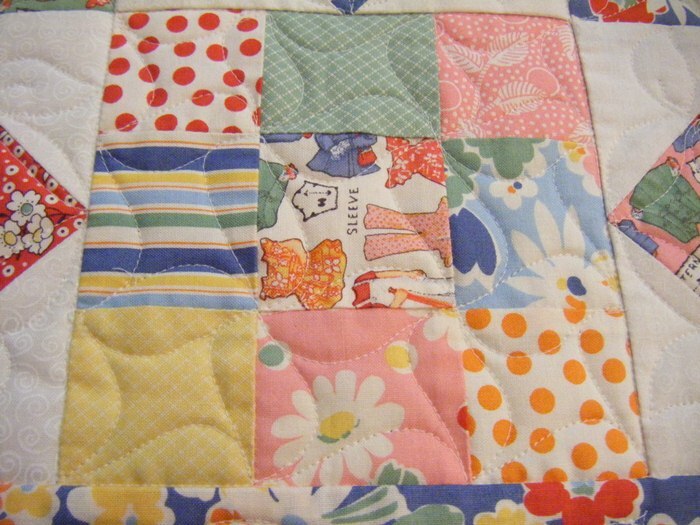 She had a good idea for quilting that she requested and sent me a photo. 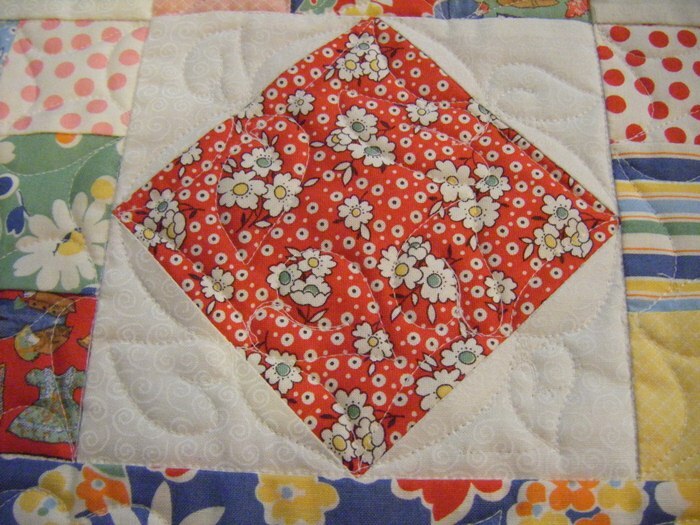 A freehand leaf design around the square in a square blocks was then adapted for the border. 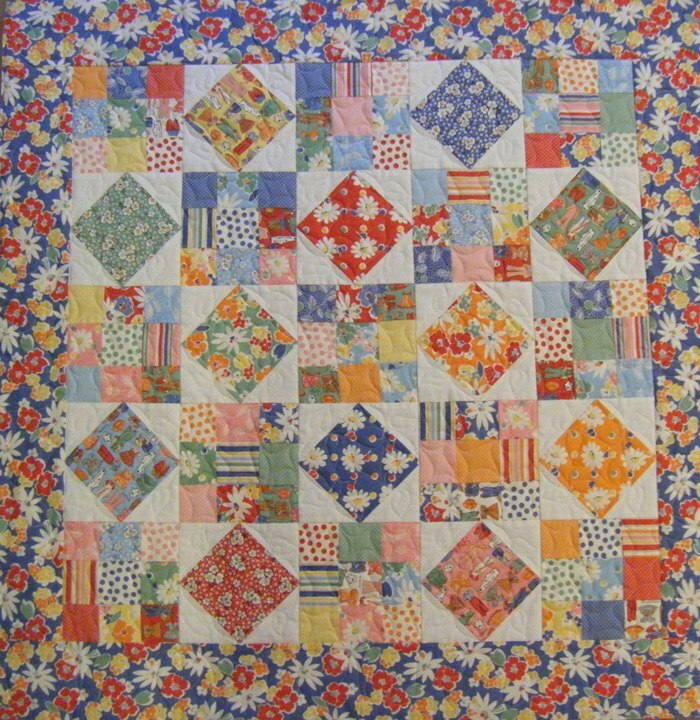 The 9-patch blocks have an almost pinwheel effect going on. I loved working on this and S was happy with her quilt as well. She plans to bind it with the green paper doll clothes fabric. One of my favorites in the collection!